February 8th in Plugin Lists, Theme Lists, Wordpress Plugins by Wordpress Jedi . 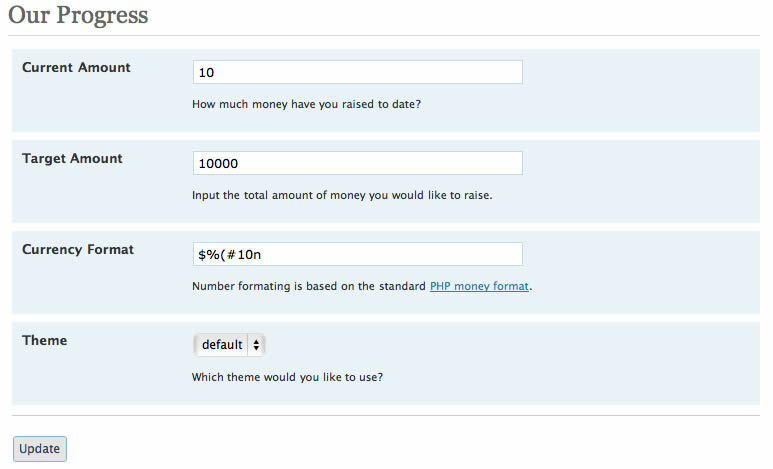 Olimometer: a customizable fundraising thermometer with PayPal integration, custom skins, and more features. You can have multiple thermometers on your site. 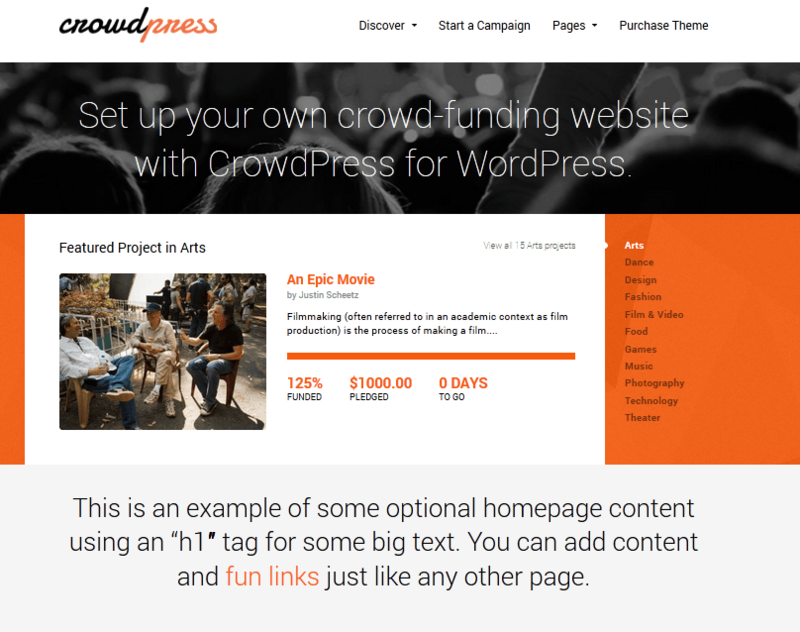 Astoundify: a powerful crowdfunding plugin for WordPress. Makes it easy to create a site similar to Kickstarter or Indiegogo. Personal Fundraiser: a simple plugin that lets you get your friends and donors involved to reach your fundraising goals faster. Fundraising Thermometer: another fundraising thermometer that lets you show the progress you are making on your site conveniently. Smart Donations: supports various styles of donations. You can accept payments via PayPal or WePay. 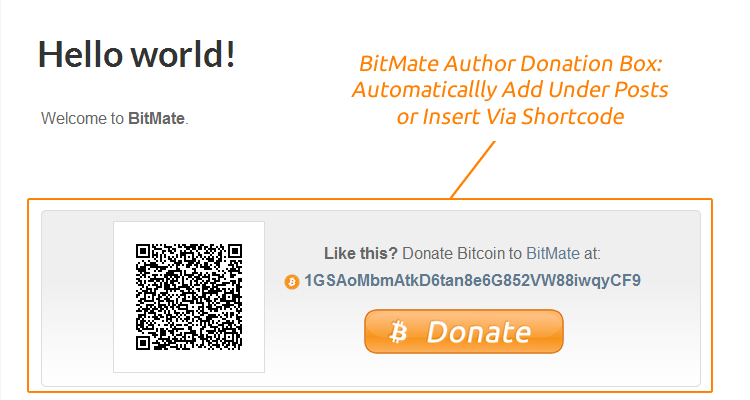 BitMate Author Donations: Bitcoin may not be for everyone but some websites are already accepting Bitcoin payments. You could also raise funds through that platform. 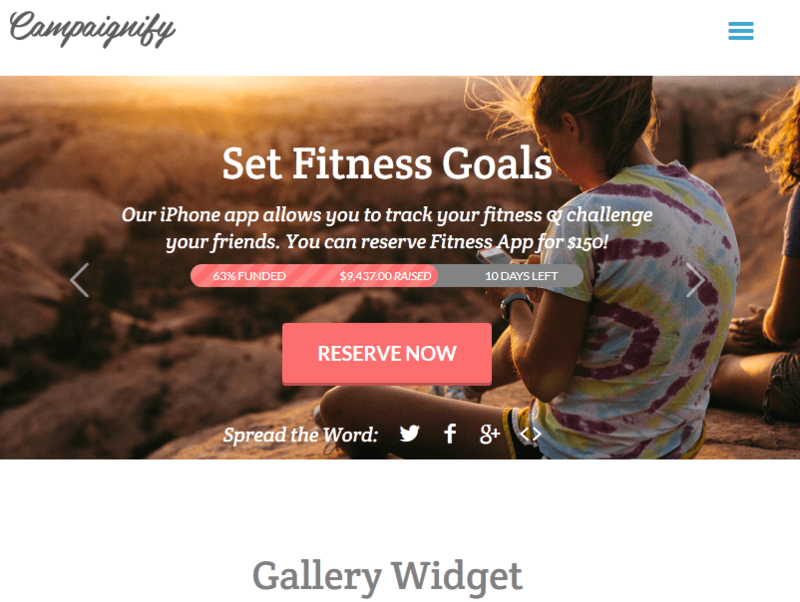 Fundify: a beautiful theme that lets you clone Kickstarter with WordPress. It supports fixed and flexible campaigns. The design is responsive. The theme integrates with Easy Digital Payments. 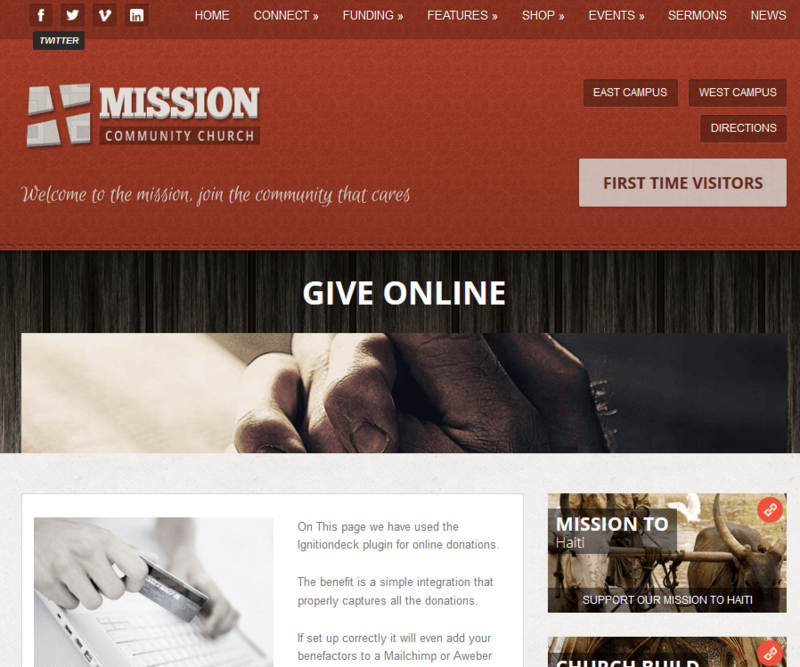 Mission: a beautiful, responsive theme for churches. It is IgnitionDeck and WooCommerce ready. It also supports your podcast program. Franklin: a dynamic crowdfunding theme with unlimited colors, a responsive design, and Retina graphics. It is powered by Astoundify. 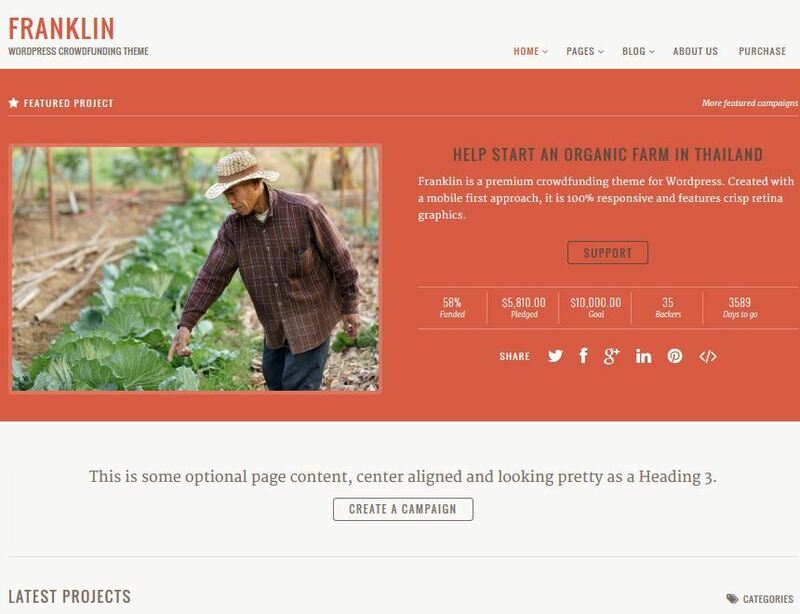 Be Human: powered by Ignitiondeck, this theme lets you bring your charity site online fast. It is WooCommerce friendly as well. Campaignify: allows you to bring your fundraising site online quickly. It is responsive and Retina ready. The theme is powered by Astoundify. 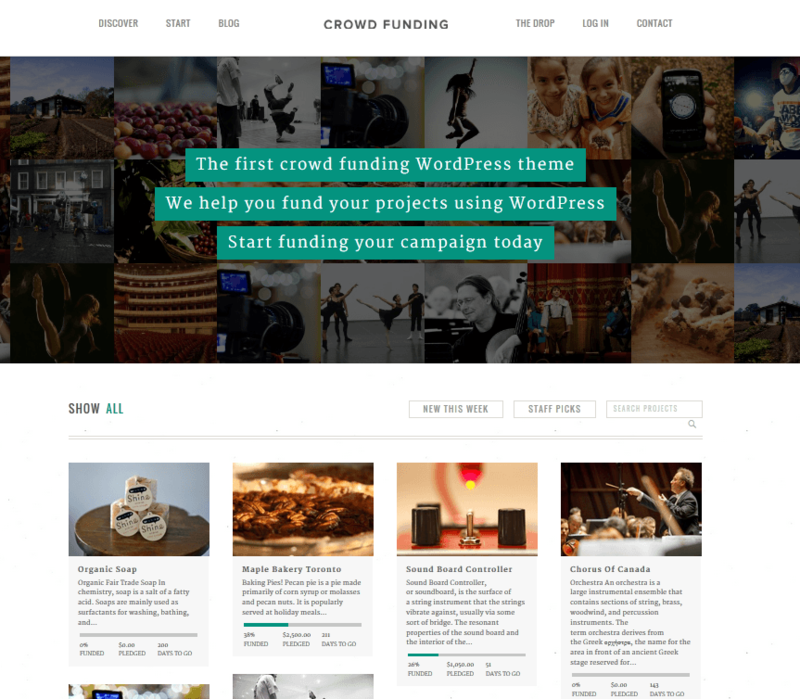 Funder: a crowdfunding theme using Bootstrap framework. It uses Astoundify and Easy Digital Payments. It has a drag & drop options panel. CrowdPress: a highly customizable design powered by Easy Digital Downloads and Astoundify. It has many page layout options and a flip-style slider. 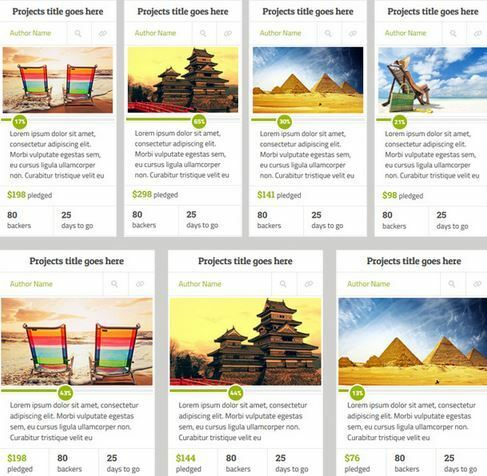 GIG: this theme is useful for artists who want to raise funds for their future projects. GIG has everything you need to promote your events and connect with your fans. You are going to need more than a fancy theme or plugin to successfully raise funds for your cause. Make sure you have clear goals and communicate those with your visitors, so they can better decide whether your cause is worth supporting.